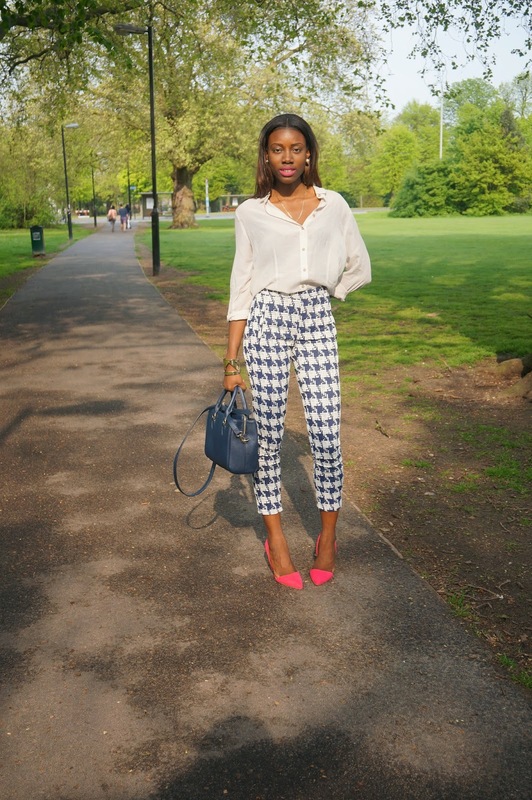 There are a few prints that are bound to be popular this spring/summer season, one being the gingham print and the other, the houndstooth print. 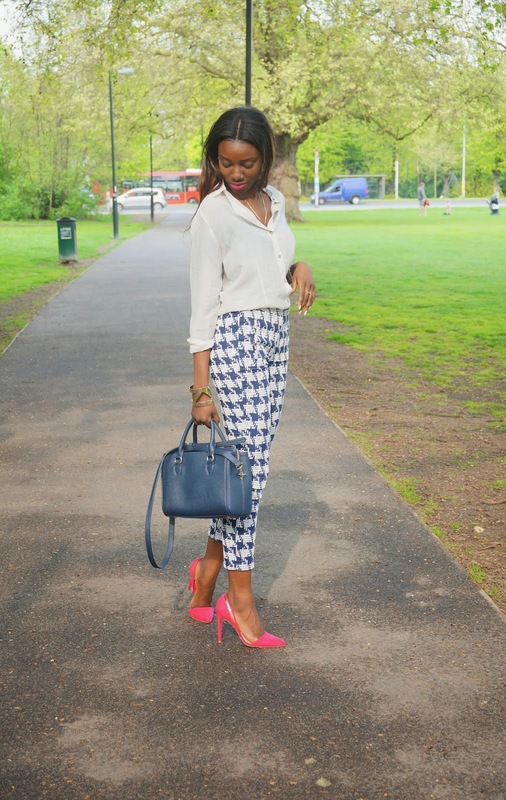 Its not like the houndstooth was ever out of fashion but had taken a back seat for quite some time and not its well and truly taking a front row seat and likely to be featured in a lot of this year's spring/summer season. Here I am rocking my own version in a simple put together outfit making it the stand out piece in my look above.